A KiwiRetrospective ~ – Page 56 – Photography with Fuji & Canon Cameras – " Capturing Moments in Time "
Examing The Competition – The Battle for the long superzoom continues. With the problems currently plaguing the Fuji X series and the general mediocre improvements with the HS30 where does that leave current or future Fuji purchasers. Is there anything out there that gives as much as you get as Fuji’s HS series does for instance? Well yes and no. It all depends on what you want or can forego if contemplating an alternative to let us say the HS30. The HS30 is by no means a bad camera, it just doesn’t have a great deal to offer in the way of improvements over its predecessor the HS20. The new improvements are nice but if you are looking for a bargain then the HS20 is a definite buy. onic’s 24X to the Nikon’s 42X zoom. area it most likely is when considering pixel density.he camera stable. el density you would expect the likes of the Canon and Panasonic cameras to be the least affected by sensor noise and the Sony would need to employ some fairly sophisticated noise reduction to give good imagery without affecting Image Quality. We already know that at 16.1 MP on a 1/2 inch sensor as in the Fuji HS20, it does indeed need to employ some fairly serious noise reduction software, and does so with some very good results . This shows that it can be done but at nearly 20MP density on such a small sensor one has to wonder where the upper limit lies for such a small piece of silicon. Most sport a movable LCD as well as viewfinders of variable usefulness. Sensors aside, all these cameras boast a plethora of shooting scenes, shooting modes, and video support, not necessarily perfect while others excel in some areas but lack in yet others. Some do these things well. By and large image quality runs from very good to excellent depending upon the camera and the mode of shooting. All will give very good results if the time is taken to learn how to properly get the best from each of these cameras. If you aren’t printing above A4 sizes you w ont be disappointed. Printing above these sizes will take some forethought and planning to achieve a really top result. By no means impossible, just a bit harder to do. Its probably better to check what you are giving up in terms of ergonomics and equipment. This depends of course on manufacturer differences. here are some of the things you will lose if considering other manufactures, not all of the items are lost on every camera. There are however things that the Fuji’s have that none of its competitors have. These are highlighted by the red asterisk.We now return to the original question, is there a really good alternative to the HS series from Fuji. Thats hard to qualify if you judge the cameras on image quality alone as some of them employ very different method for getting a nice crisp image. Weight – the HS series has a nice small DSLR like form factor and weight with good balance and a very good grip. AA Batteries, something I find indespensible when traveling, especially lithium AA’s at 1000 shots or better*(HS20 only). The Nikon’s estimated amount of shots on the standard battery is appalling when matched against the others. 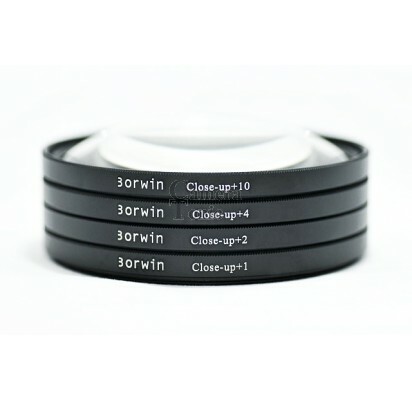 Std 58mm screw threaded lens, good for ND filters and polarizes. I’m sure I’ve missed something off this list, so feel free to add yours as well. For me foregoing any of those items really isn’t an option as I regularly employ all these and many other features in my HS20. Thats what makes the Fuji’s such a nice camera to operate, and for those who use a DSLR as well they will quickly appreciate the amount of external controls the the Fuji applies. Theres nothing worse than having to delve through a large number of internal menus to get what you want. The Fuji’s are not without their flaws and I have said as much when necessary. It now remains to be seen as to what Fuji’s direction will be for the coming year(s). I think the development of their Bridge-cam is a very smart direction to take. They are getting very close to what the more experienced camera user is wanting from these types of camera. It wont be long before the Bridge camera will rival the entry level DSLR if the manufacturers continue to develop this format, which is one that I think should be persued. Not everyone is able to afford a DSLR but most folks are willing to stretch a bit if they can have a similar quality product that does just as well. There is one caveat to this list and it concerns Panasonic’s FZ-150 & the Leica V-Lux. They are one in the same camera, the only difference is cosmetic as the Leica version has all the Leica badging, and cost 30% more the the Panasonic/Lumix FZ-150. Heres an interesting comparison/report well worth reading. I have to say that’s one of the better reviews I’ve seen for the HS30 although its not particularly accurate and doesn’t include decent image test comparisons. Its also why I’ve said in previous articles one should never really trust this sort of review. It much better to see how people get on with the camera on a site like Dpreview.com’s Fuji Talk Forum. Theres nothing like real world usage reports to help one make up their mind when buying a new camera. Now back to that review. You would think that if they were going to do a review they would get the basics right. This off their review features page. 1.Sensor size is given as 1.2/3. Wrong its 1/2. 3.Native ISO is given as 3200 when in fact you also have available 6400 if using M sized image files. 3. Focal length is incorrect and I expect reviewers to get this right. Actual focal length is only 680.4mm equivalent which is quite a bit shorter than the HS10 was. Heres a link to a calculator for those that wish to check this. Thats just 3 things right at the start that aren’t correct. There are other less important items scattered throughout the review. Its just these sorts of inaccuracies that have me saying that most reviews are less than accurate and poorly done and this one is no exception. Of all the review sites on the net there are about three that I’m willing to put some faith in, and even then they too make some basic blunders from time to time. At the end of the day reviews are just that, reviews. They aren’t anything more than a guide of sorts for us to start assessing a new product.I fervently wish that some of them would get it right a bit more often as this would be beneficial to all of us. Until then just take it all with a grain of salt. The above comments are directed at the Trusted Reviews current published review of the HS30. After reading that I didn’t bother with any of the other links, given the headings I doubt we would see anything better thats been linked on that page. The test on Fhotonumeric is a good one.I agree DPrev.is the best,but they did not test the Fuji so escape to other side’s ,to pickup some info!! By the way Kim letkeman’s report is a joy to reed! Yes Kim did a pretty fair assessment of the HS25 and goes a long way to showing that RAW isn’t always necessary as some would think. The extra changes made to the HS30 are nice, I’m thinking EVF and intelligent zoom just by way of a couple of things, but if you own an HS20 there really isn’t much difference, and I would like to have seen a change to the AF before I would give it serious thought. That and improved write speeds would be the two things that would really get my attention and to date they haven’t addressed these issues. To make the HS30 a rfeally good camera we need to see similar AF speeds similar to entry level DSLR and writes speeds of the same level, then we really would have a great all round camera. Hi Ralph. I am considering purchasing a Fuji HS30 and have been reading numerous reviews on all makes of cameras. The one thing that crops up time and again is the atrocious customer service at Fuji. My question is, is it really as bad as reported? Of course you hope you will never need it. Good camera choice if its a first time buy. Actually my dealings with Fuji to date have been very good. It seems to depend on the country quite a bit as some owners report little or no issues and others (mostly European to date) have experienced all sorts of odd behavior. If you are buying from a reputable source that you trust there shouldn’t be too much to worry about. There hasn’t been anything serious crop up with the HS30 to date. My HS20 has been reliable from the beginning and its most likely your HS30 would be too. If you don’t have any consumer guarantee laws in your location talk to the dealer about the warranties and the extended warranties that are available. It may cost a little more but could well be a very wise choice. That being the case price wise grab it. Either camera will give you a great deal of enjoyment. If you have an HS20 then there’s no real advantage in buying an HS30. Too many are obsessed by the specifications. It’s the person that behind the lens that is the real significance. If you earn your living with camera then you really do need high-end gear but that will not make you a better photographer. On the day that my HS20 was delivered, I was able to take shots of Ladybirds taking some rays and at night the Moon – all without changing any lenses. A big change from my previous Nikon gear. You also need to factor in how your pictures are going to be seen. 12mp sounds so much better that 6mp but that plays on the ignorance of the inverse-square law. And that’s why I bought the HS10 originally, the versatility of the lens. I also think that shot with the right settings the HS10 was marginally better in IQ than the HS20 and at ISO400 or lower had a pretty useful sensor. As to the inverse square law as pertaining to photographers. Its been my observation that 99% of camera users are unlikely to even have heard of it or understand it. Most modern camera user have little or no formal photographic training. Modern camera users, especially now with live view, rely on their equipment to tell them what the exposure should be. Nothing wrong with this in general as it frees us from one problem to concentrate on others such as composition. Where the Law is more likely to be understood is with Pro Photographers, eg: Studio Photographers or specialist photographers. When I first started working with the photography studio doing wedding portraiture we would set the lighting accordingly, allowing for highlights etc. In those days we used accurate light meters that matched our Mamiya cameras, so while the Law was a consideration, its application even for studio lighting was subjective at best. And this is from one of the foremost wedding photographers of the time. (1970 -1980’s. Author R.W. McKenziePosted on 16/07/2012 20/07/2012 Categories Photographic TalkTags Photographic TalkLeave a comment on Examing The Competition – The Battle for the long superzoom continues. One of the things that my HS10 had was instant zoom, which could be used at two different settings/levels. Very handy for doing macro work or even long shots. In the HS20 this was dropped, something that really annoyed me when I discovered that. In the HS30 its been brought back, but renamed as intelligent zoom and appears to work in a very similar manner to the HS10’s instant zoom. As most Fuji users know, these cameras are capable of some really nice macros. You can of course get the Raynox DCR-250 with a adapter ring for the Fuji 58mm lens thread from amazon at around $100.00USD if freighted. There is however another route that the HS20 owner can take and that is to use a closeup lens filter such as these found on E-bay UK.These are the ones I bought. My daughter has just arrived back from the UK and was able to bring them with her. They cost 8.99 British pounds or roughly $16.00 NZD. There are many varieties and suppliers. A quick search on E-bay or Amazon using “Closeup Filter” in the search bar will get you to where you need to be. I have had a very brief play with these and will do a more in-depth review in the coming days. The Borwin versions seen here are considerably more expensive and I have to wonder if they aren’t one and the same and you are paying simply for the name on the product. 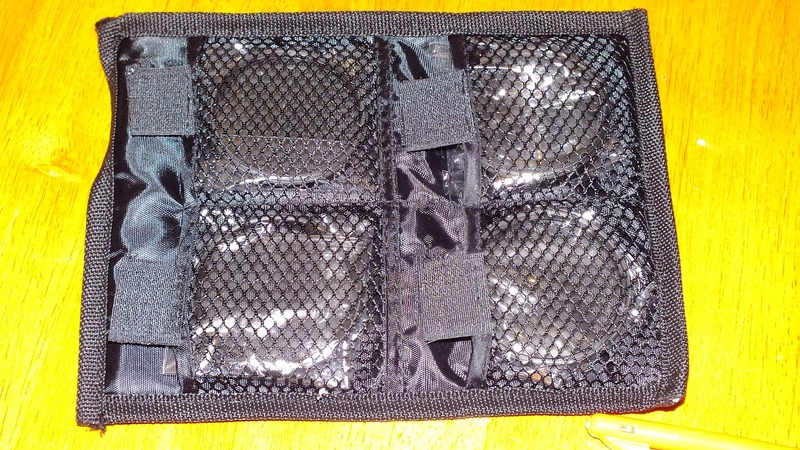 The closeup lenses I have show good fit and finish and come in a pouch, with individual pockets that use Velcro tabs to secure them. Included in the box was a small packet of Q-tips as well as a Pufferbrush for lens cleaning as well a good quality lens cleaning cloth. All in all pretty good value for less than $20.00 NZD. A New Home for the Kiwi. Although I have little complaint about the old akiwiretrospective blog site, some of the tools and advanced themes that I would have liked to use just didnt work all that well. The site itself has become quite large and somewhat cluttered and in an effort to better assemble the documentation we are trialing the newer WordPress site and themes. This site while being developed will run concurrently with the older retrospective site. Hopefully the move will be of benefit to all our readers and I’m looking forward to adding a more practical set of basic camera/photography tutorials over the coming months. For normal Blog Posts click the “Daily Blog” menu tab, or check the recent posts section in the “Sidebar”. For other information, Index etc.. use the Main Index page or the drop-down menus. Alll the Images you see on the page headers are my own and taken using the Fuji HS20. From Time to time these will change so that you are not always being presented with boring images. Come in and have a look around. At the moment we are very much in an underconstruction phase. All new articles however will be posted here, and full links will be available under the Main Index menus to the old site until the migration is finished. Why am I doing this? Mostly is was tired of the old look, but also I wanted to make navigation to information a little more relevant for our users and the overall aim is to have it be an enjoyable and informative place to visit. Author R.W. McKenziePosted on 16/07/2012 25/07/2012 Categories Photographic TalkTags Photographic TalkLeave a comment on A New Home for the Kiwi.